St Mary's in colour and from up high. 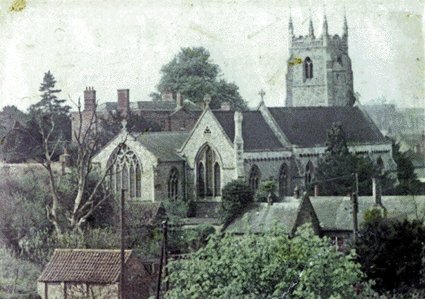 A rare and unusual photo of St. Mary's Church. It is, possibly, taken from the roof of the new school or from a crane used during construction. Note the imposing structure of Feltwell Hall, home of the Newcome family, behind the church. The pine tree on the left is still standing. The gable ended building on the right is the 'Old' School, now the W.I. Hall owned by the Sir Edmund De Moundeford Trust.